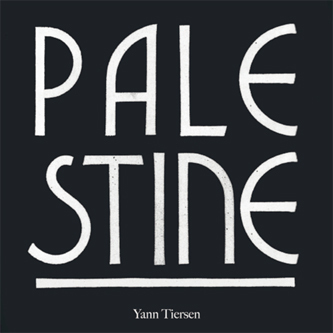 'Palestine' is one of the key tracks from Yann Tiersen's forthcoming album, Dust Lane, and is presented here with remixes by Deadverse (of Dälek), plus labelmates Chapelier Fou and Third Eye Foundation (aka Matt Elliott), with Tiersen himself supplying an alternate mix of the cut. In the label's own words: "Deadverse (Dälek) gives the opening shot with a version worthy of an armoured division ready to blast away all genres and walls; heavy hip hop with industrial rhythms, both insistent and devastating, for modern dancefloors. Chapelier Fou, with a complex rhythmical cartography - in the vein of his début album to also be released in March - cleverly de-constructs the boundaries of 'Palestine' in a sequenced slow motion crumbling, like a deeply moving continuous shot where sound gives life to images. Matt Elliott brings his project The Third Eye Foundation back to life for a totally unbridled comeback and blows minds away with his unique dark shadowy dub to once more prove the obvious universality of his language. Yann Tiersen, in trans-genre-hobo way, brings peace to his track by opening its own boundaries to the spectres of serial composers, of German precursors of the digital age as well as the post-Timothy Leary of the years 2000, to deliver a yet unknown face of the artist."